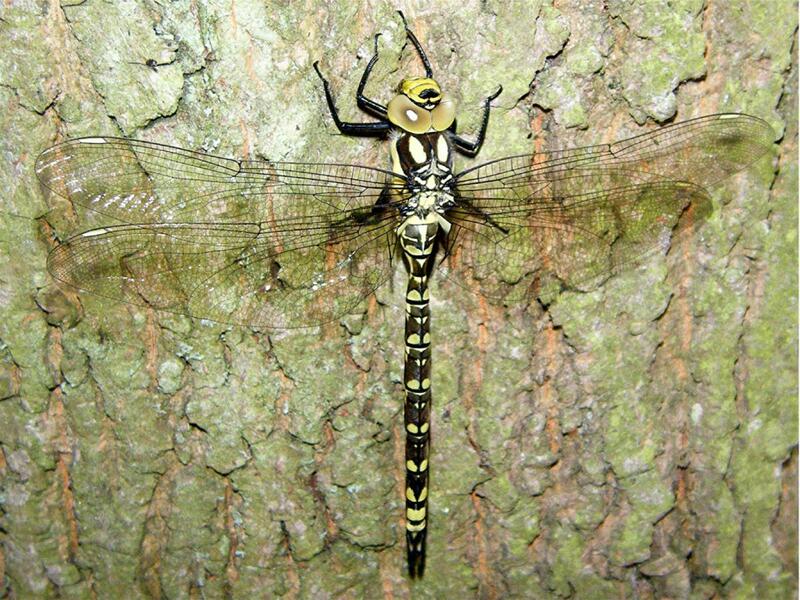 This is a large hawker. 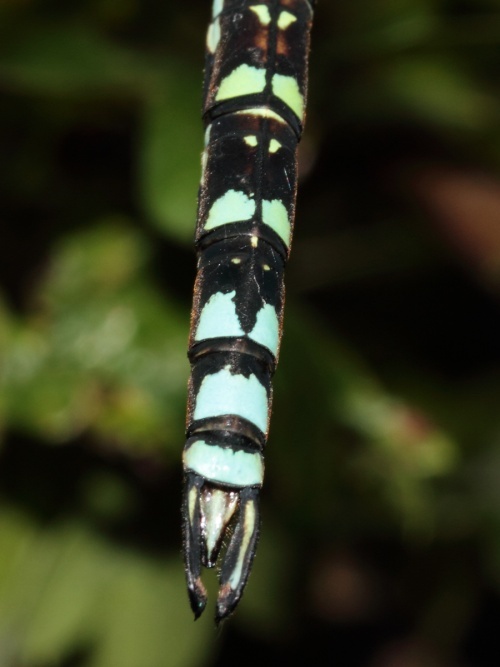 Usually males are black with large apple green spots on the abdomen and with blue markings on the last two segments and along the sides of the abdomen. 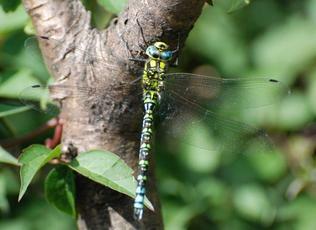 Thorax sides are largely bright green, as is the face, with blue eyes. Females are duller, having pale green and blue markings. Distinguished from other Hawkers by the two 'head-light' markings on the thorax and also by the paired spots on the last two abdominal segments merging. 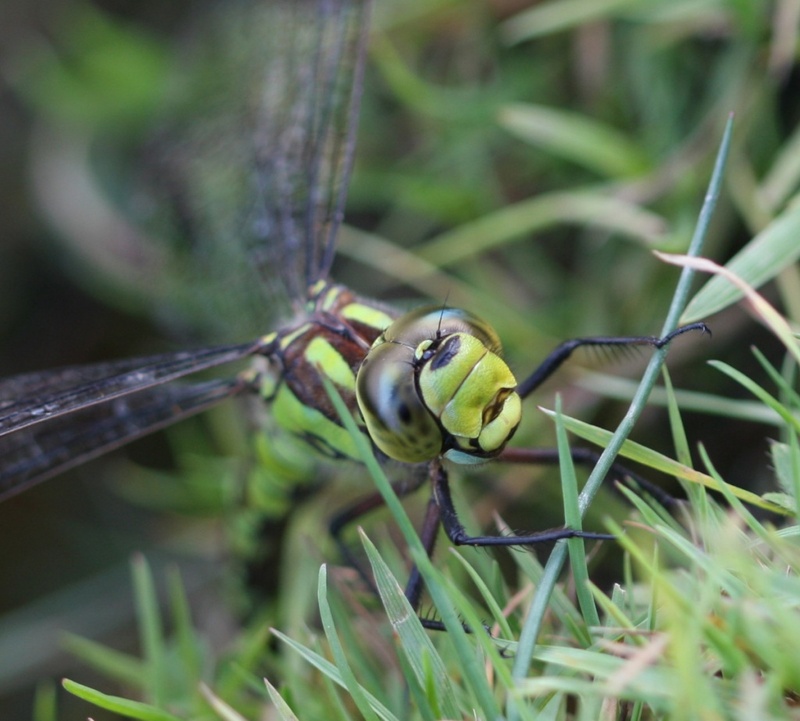 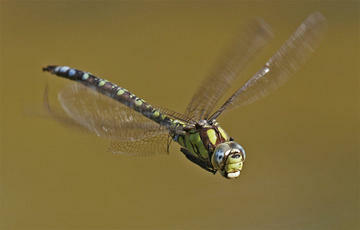 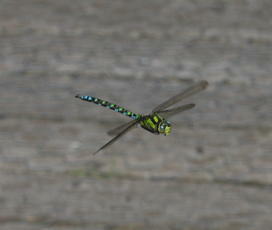 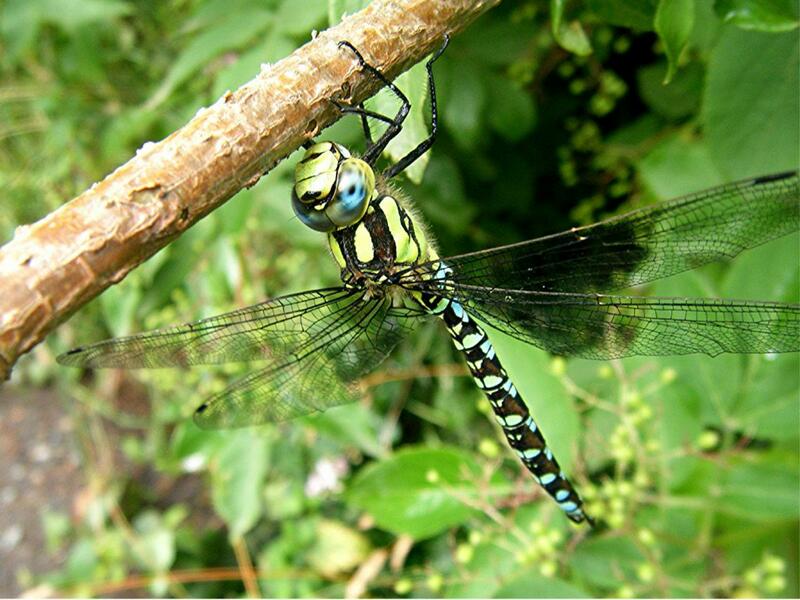 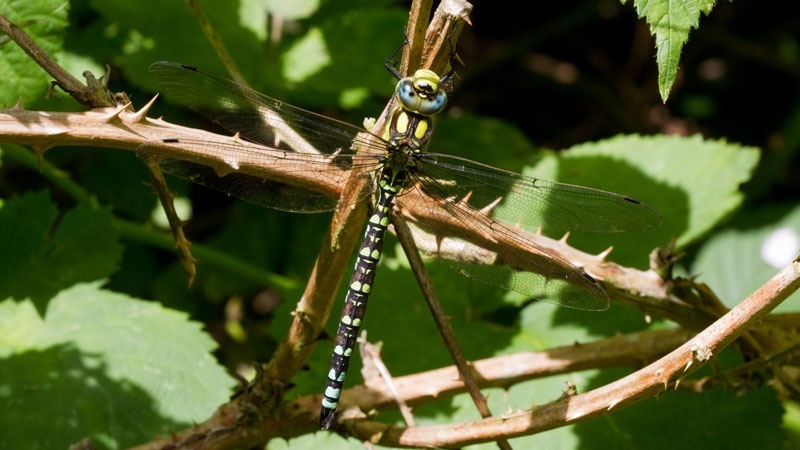 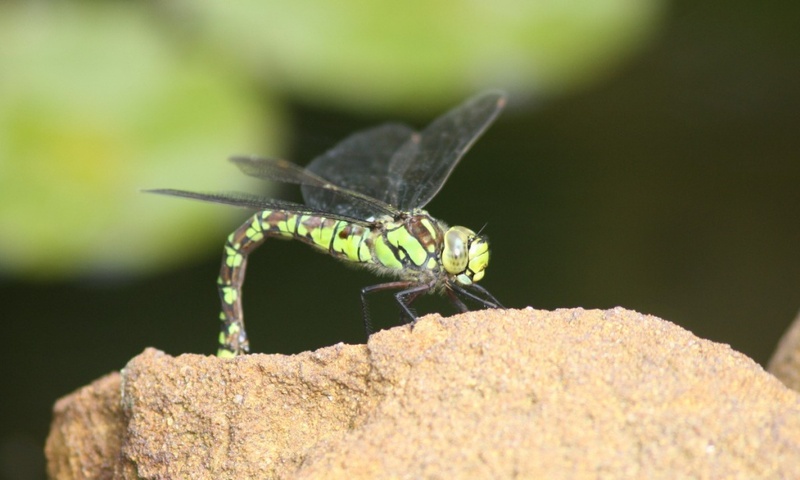 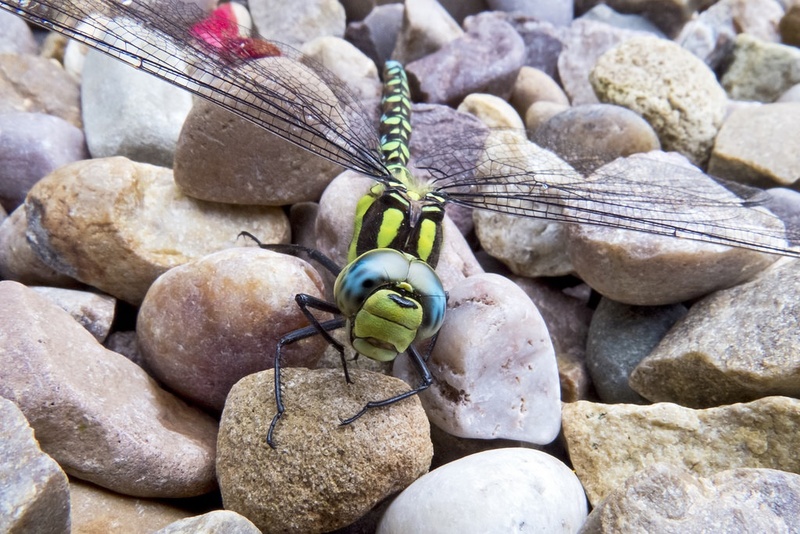 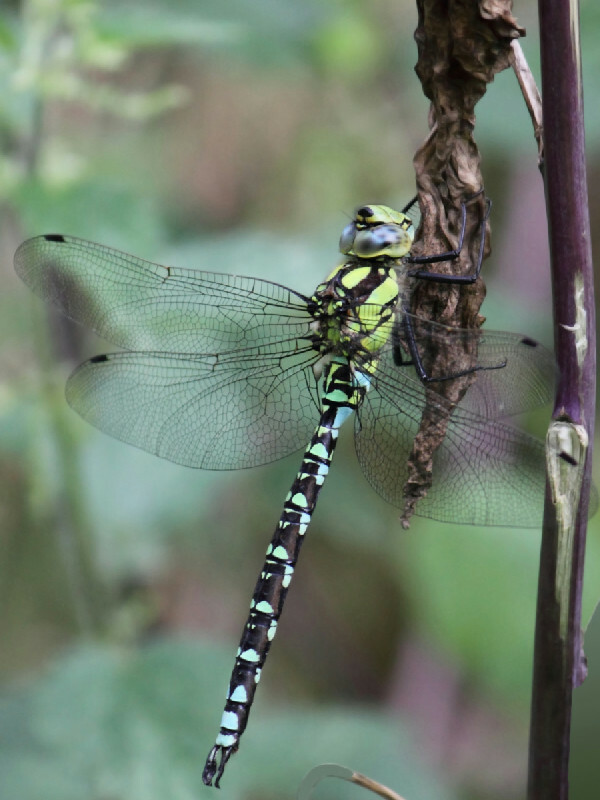 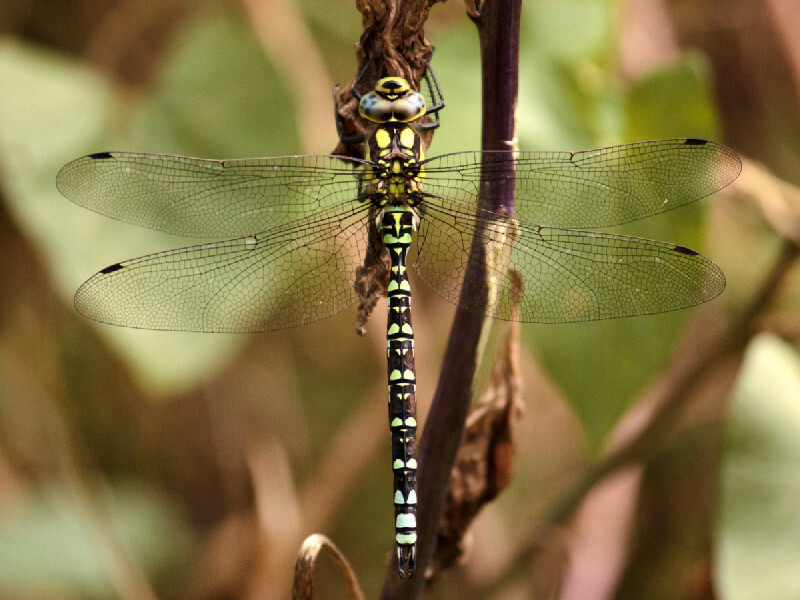 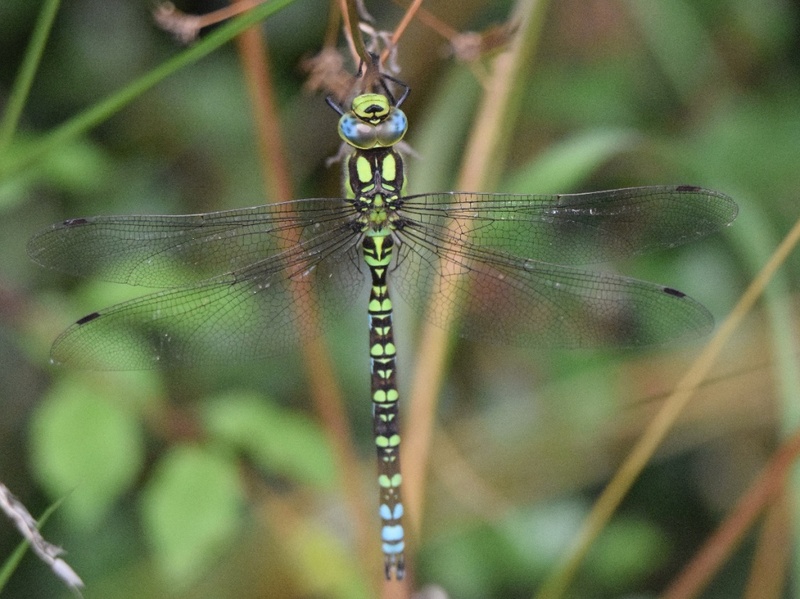 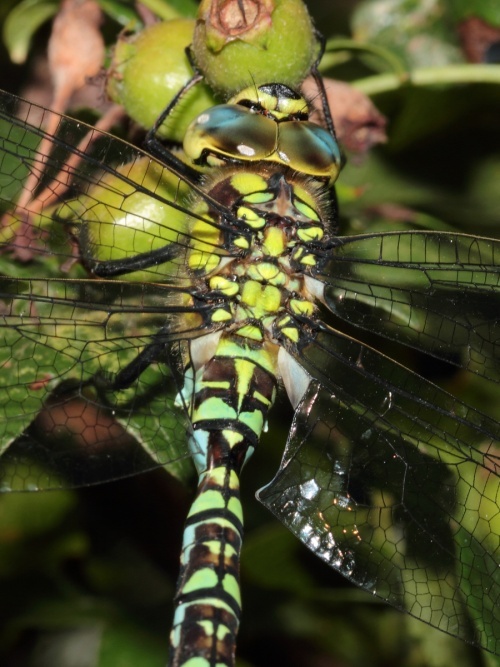 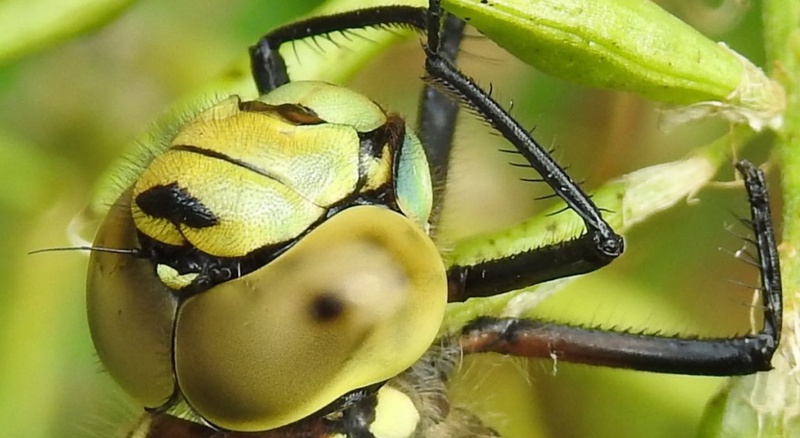 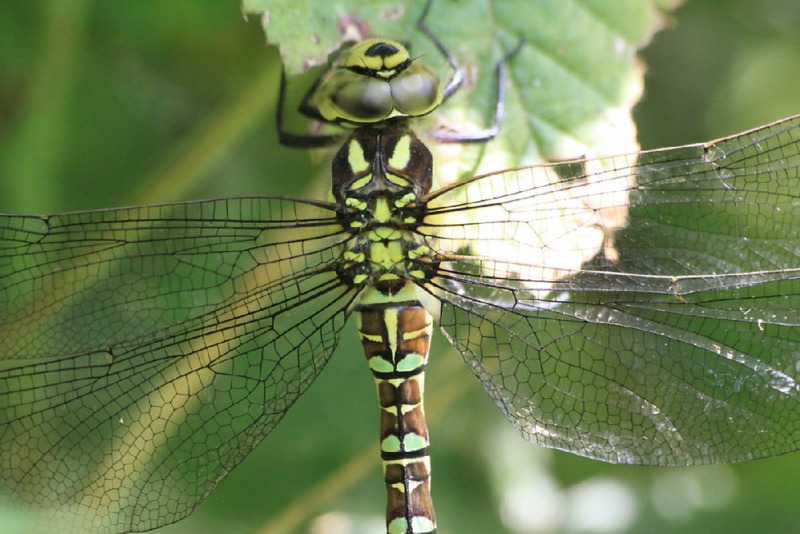 Southern Hawker is often recorded well away from water, though for breeding purposes it prefers smaller water bodies with wooded margins; garden pools are well used breeding sites. 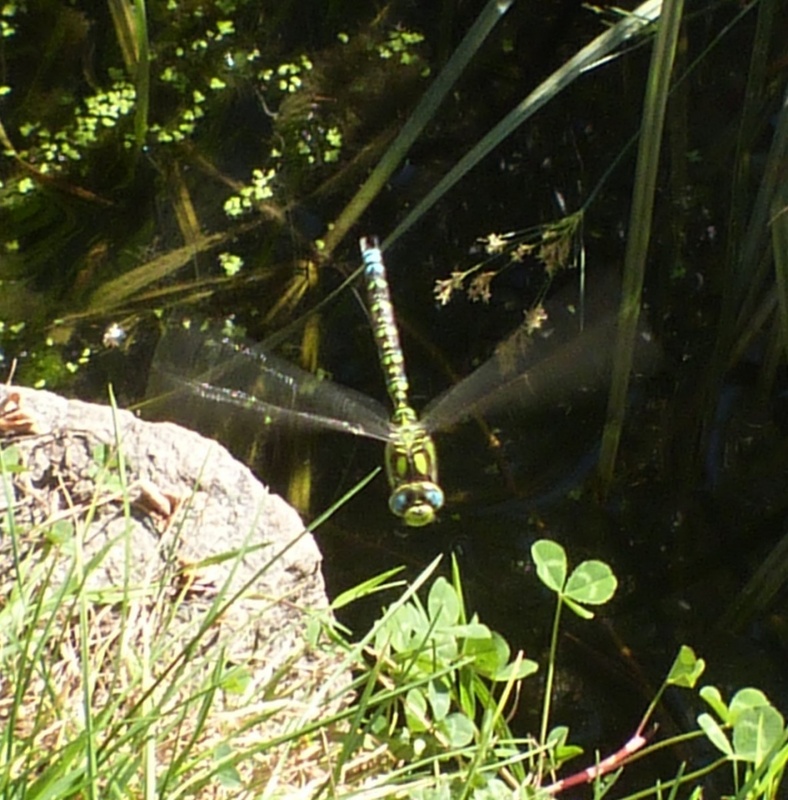 July to start of October. Found from mid to late summer patrolling its territory before perching nearby. 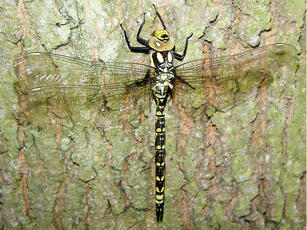 It can be curious of people and will fly up close to inspect the 'intruder' before carrying on its patrol. 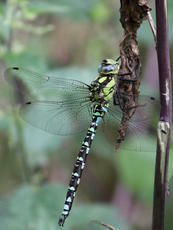 Quite common in the southern half of England and in Wales. 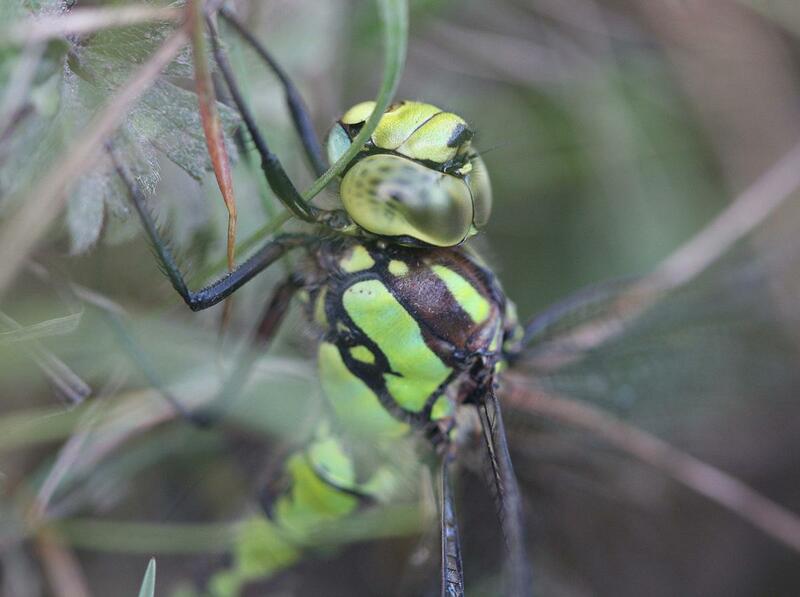 Quite common in Leicestershire & Rutland. 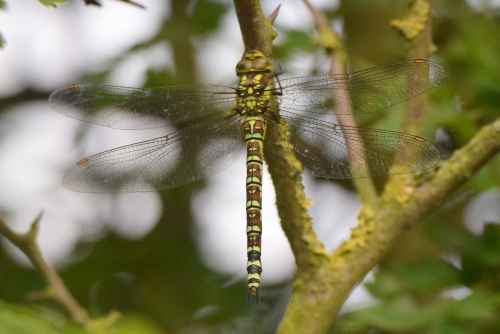 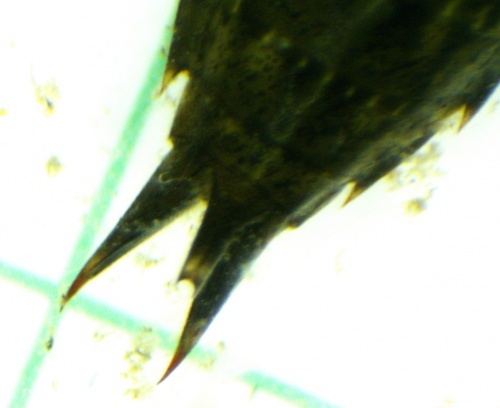 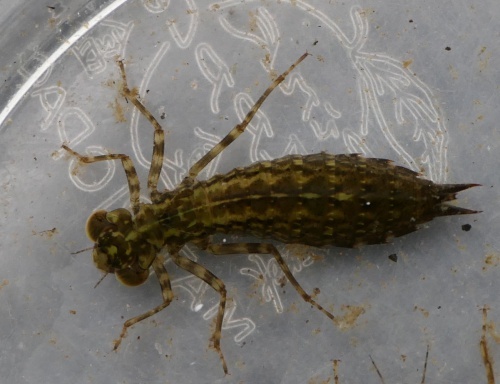 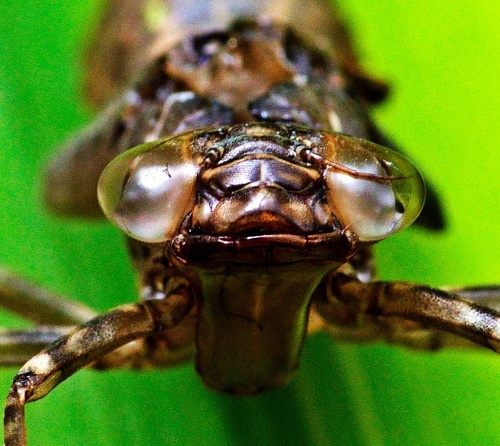 This widespread species is often recorded well away from water, though for breeding purposes it prefers smaller water bodies with wooded margins; garden pools are well used breeding sites. 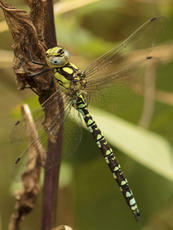 Historic records suggest that it has always been a relatively common species in VC 55.